Is your Whirlpool front loading washer displaying the error code f20? Finding out what this fault code means will assist you to fix your washer yourself. 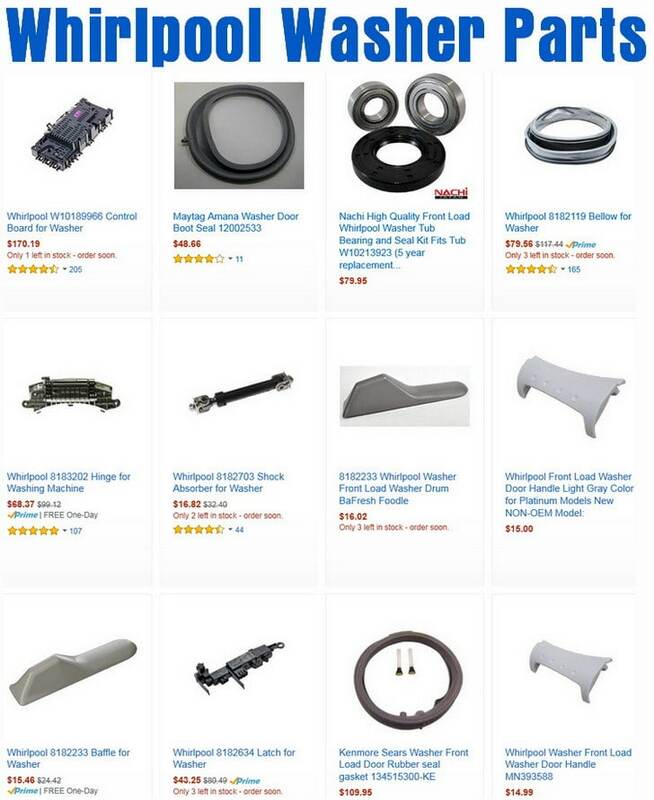 Use the information below to identify, troubleshoot, and repair your Whirlpool washer. load washing machine when you get the f20 or fh error code. Do you have the HOT and COLD water valves turned to the on or fully open position? Be sure to open both the valves completely so the water can fill. 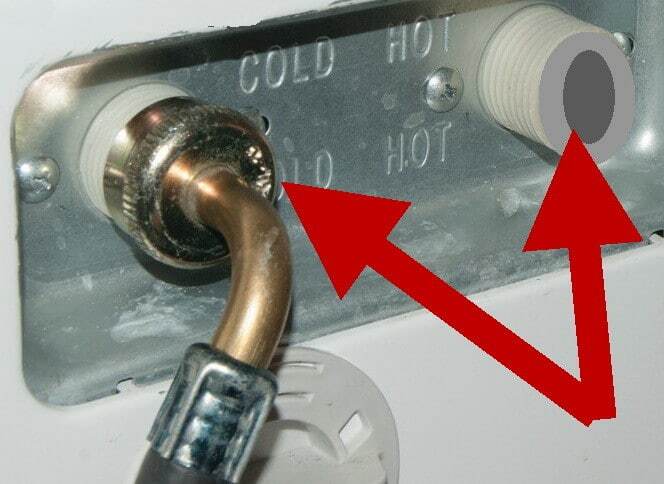 Remember that BOTH the hot and cold water supply needs to be connected to the washer water inlet valve. The washer will not work properly if you have only one water hose connected. 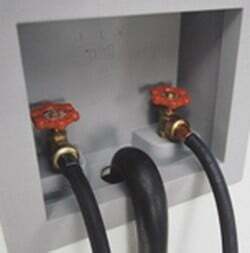 The water inlet valve that the water hoses connect to must have the pressure from both hoses for the washer to operate properly. When you select a cold water wash then the washer is adds hot water to keep the temp optimized for a cold water wash.
Are the washer water supply hoses bent? Are the water inlet valve filter screens (where the hoses connect to the washer) blocked and need to be cleaned? To remove the f20 error code from the Whirlpool display panel, press Pause/Cancel 2 times. When the washing machine is started for the first time after removing it from power, it may begin to drain. The pause or cancel will not be able to be used for 8 to 10 minutes while your washer drains. If the error code f20 or fh comes back on the display, further troubleshooting is needed. Are you using the correct HE High Efficiency washer detergent? Always use HE High Efficiency detergent. Look for the HE logo on the washer detergent before you buy. If you use a detergent that is not HE you will cause excessive suds or bubbles. Too many sud bubbles will make the washer unable to detect the water coming into the machine. HE detergents that are concentrated will require a smaller amount. Using flood preventing water hoses? Flood preventing water hoses have a check valve inside. This valve will close when the water pressure is over 2 gallons per 60 seconds. If this happens it will shut off water to the washer. When a hose becomes loose the water flow in the hose will go up and close the valve. This will shut off the water to the washer to avoid a leak. Is your water pressure less than 11 psi? If your water pressure to the washer is low the washer will not work properly. To find out call your local water company. 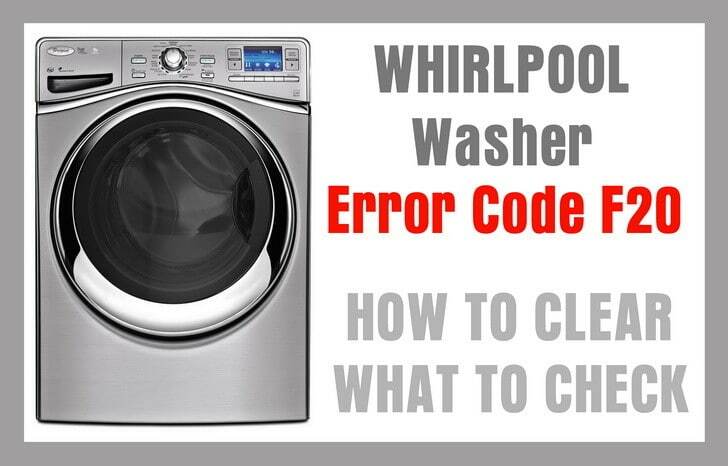 Need more help with your Whirlpool washer with the f20 error code on the display? Please leave a comment below and we will be happy to assist. Front load whirlpool stop working, therefore I replace door lock switch – water intake valve and it still doesn’t work. Please help me. Also how to proceed with finding the error code to determine the problem. My duet washer is displaying f20 code but is draining just not spinning or agitating. I’ve checked everything I was supposed to if code f20 displayed. Everything is fine. Why is it not spinning and displaying code f20. F20 code error coming up. Replaced both water intake valves. The water is coming in and washer runs a little. Then code comes up. What is my problem. Help required. We were getting the F20 code and cleaned the hoses out, turned it back on and it worked perfectly! all of a sudden the F20 code came on again, I pushed pause it cleared now it just flashes the. Time left on the cycle and it won’t drain the water and none of the buttons work, pause even off. help! We are getting the F20 error almost every time we wash clothes. This has been happening for several months and takes a lot of time to complete our wash cycles. Any thoughts? F-20 code on whirlpool duet front loader. Replaced the water inlet connector. Has great water pressure and pressure sensor works. Please help. Tried everything. We’ve been getting the F 20 code more often with the below 0 zero temperatures outside. Could our water lines be freezing? My washer keeps displaying this code. I have even run it without ANY detergent. There is no kink in the lines and both water hoses are on. I saw a video about cleaning the filter underneath the washer itself. Would this be advised? F20 code only on warm or hot loads. Both hot and cold water is on. Screens on inlet cleaned. Water pressure at 30. Unplug and replug. What next? Control unit? New washer? Never been happy with this washer. Had the same error code. All I did was fill the washer up with all the water. The next thing I knew the washer started to work. F20 about 4 out of 5 loads. Usually the FIRST load is a guarantee to do it, but if you immediately re-run that load, you’ll have a better chance of it not erroring again. We think F20 hits at the same point during the runs spin with the drain motor running and the water on. We were having the f-20 error 4 out of 5 loads and I tried replacing the pressure sensor and cleaned the water intake filters. Seems like my problem was resulting from a loose fabric softener dispenser. During the first spin cycle it would come loose and move out about 1/4 of an inch and then the f-20 error would show with about 23 minutes left. Took a piece of tape to hold it in place and have done 10-12 loads with no error. We also had the error 2 years ago but we were also getting water coming out the dispenser onto the floor. In that case we found a sock had somehow gotten out of the washer and spun up into the water intake just where it runs from the dispenser into the washer tub. Hope this helps someone as this intermittent problem was driving us crazy. I’ve done all those troubleshooting steps listed above. I have continue to have the F20 code going on 3 years now. Flowmeter is setup in the proper position, very little blockage have been removed, water pressure good, removed flood prevention hoses and installed regular water hoses, use HE detergent, connection of hoses are good. It works for a few washes and then the F20 code returns. What’s left, maybe the control board? I am sitting about 1 in 5 washes are issue free. F20 code is the only code I get. I have checked the inlets and the drains for blockages. I have found coins and stuff in my drain but after removing them it does not solve anything. Sad thing is we have never run a full load in 2 years because of this persisted problem. So the question is, do I try and get it fixed or cut my losses and buy another brand? I have good water pressure – cleaned the mess catch on inlets which where crusted with green stuff. Ive clean the drains out catch – 3 coins. Now it will run through a full hand wash cycle but still gives f20 on others. completes the spin and drain cycle, too. I have been getting this error more and more lately. I can usually unplug the wires and then re plug them back in and it will work for a while. I have also tried all these suggestions. When my Whirlpool washing machine has the error code F20, it means we have to clean out the DRAIN FILTER. There is usually dog hair or my small children’s clothes caught in it.